Supplied with a current Road Worthy Certificate and 1 Year Extended Warranty included in advertised price. This vehicle is excellent in the body, spotless inside and drives like a dream. If you are tired of disappointment, inspect this one as you will have your car enthusiasm rekindled. This stunning well priced UTE will make an excellent addition to your family. Drives as good as it looks and it is available for immediate delivery. Inspection a must. WE WORK ON HIGH VOLUME TURNOVER AUSTRALIA WIDE. PLEASE CONTACT US TO ARRANGE INSPECTION, HOME DEMO OR OVER THE PHONE PURCHASE. WE ALSO BUY, TRADE-IN AND SOURCE QUALITY CARS. We are only 5 minutes away from Southland Shopping Centre. 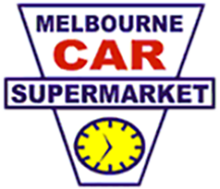 Trade in’s are more than welcome but if you don’t have a car arrange for us to pick you up from the Moorabbin Train Station. Located in the southern suburbs of Melbourne, 30 minutes from the CBD. Make an appointment now to test drive and secure this outstanding example of FORD'S finest.